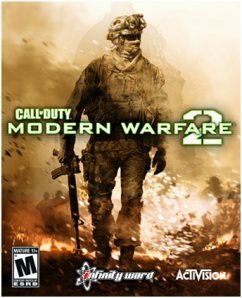 I was desperate to buy Call of Duty 6: Modern Warfare 2, but I thought I was going to have to wait until Christmas to be able to afford it. But thankfully, the supermarkets decided to slash the price and I bagged myself a copy for £26 and it was worth every penny. The game follows on from the first Modern Warfare and once again, terrorists are causing problems and need a slap on the wrist and a good telling off. 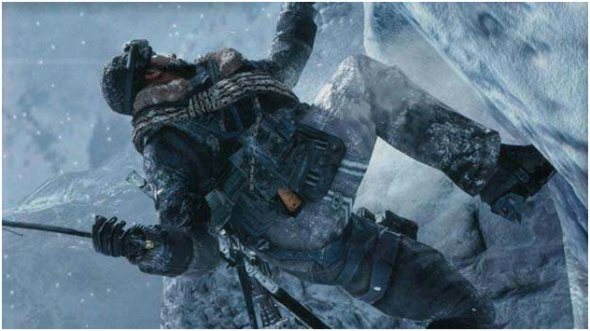 Last time we played as Soap McTavish, but this time around, you’re a different character and Soap leads you through the missions along with the every present Captain Price. I was a little disappointed with the length of the main storyline as I would love it if it was a real epic 15 hours long. This is my favourite storyline of the franchise so far and certain parts have had people making major complaints about, ie the airport terminal which is why Russia banned Call of Duty: Modern Warfare 2. However, when you first start the game, it asks if you’re sensitive to strong scenes (or something along those lines), but my argument is, why would you buy this game that has an 18 certificate and knew of the controversy surrounding it, if you weren’t adult enough to handle what you see on screen and realise that this is only a game. I for one didn’t have a problem with the airport mission but can see why some people might. Shooting innocent people seems weird, but aren’t you shooting people all the way through the game? If you put the game on easy, isn’t that more or less putting a water pistol in your enemies’ hands?? This is an 18 certified game for a reason!! Heed that warning! As well as the main campaign and online mode, there’s a Special Ops option which is certain parts of the main campaign, as well as other things, broken up into smaller missions. You can do these on 3 different difficulty settings and the each one will earn you a star, ie. complete it on Regular you get one star, Hardened you get 2 stars and Veteran you get 3 stars. The more stars you earn the more Special Ops missions you unlock. There are certain missions that can only be done with 2 players and you can do this either on or offline which can be fun. Although I said the main campaign is too short, there’s plenty to keep you occupied for months after. Amazing!! You can’t really get better than the last two COD games, but it’s the little details like deeper textures and more dynamics that add to the look of the game. For example, when someone in front of you is walking in the snow, snow dust puffs up from where they stand, clothes react to wind etc. Certain missions look better than others, but the overall look of the game is second to none. Jumping around snowy mountain faces with Soap looks amazing!! Just don’t spend too long looking at the scenery! The actual gameplay is pretty much exactly the same as previous versions. This isn’t a bad thing because why would you change something that works so well. All the buttons are set up the same way (of course you can configure them in your own way if you so wish). Enemy AI seems to be better as they sneak up on you more and some runaway and find another way to flank you. I found the Favela mission to be a complete pain in my backside but felt all the more satisfying when I completed it. The physics on your enemies when you shoot them is great. Pull of a good headshot and they’ll drop to the floor like a sack of spuds. Get them whilst they’re running and they fall so..errr…gracefully. It’s the little details that make this game better than its predecessor. 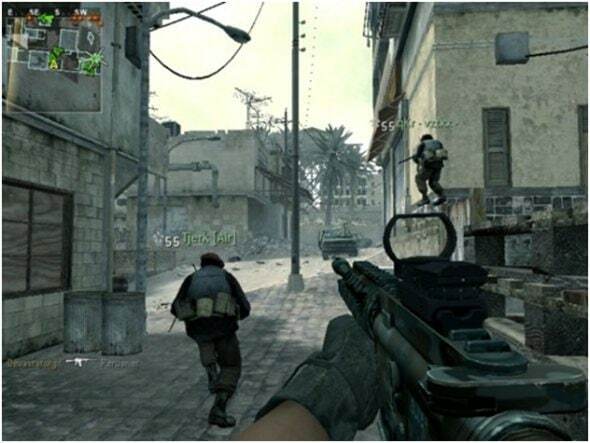 This is the main reason why I and the majority of people buy Call of Duty games. It’s been pretty similar for the last two games, but they’ve added loads of little perks to the online mode. The main games are the same, but it’s things like killstreak perks that have changed. You’re no longer stuck with UAV after 3 kills, Airstrike after 5 and chopper after 7. You can now mix and match with some new ones including a Nuclear Bomb perk after getting a killstreak of 25. I’ve never used it myself but have been in a game when it’s been used!! When it’s used, whoever is in front wins because you all die and you don’t respawn!! There’s even a deathstreak option now, so you can get certain ‘rewards’ for dying so many times in a row. I tend not to be bothered about this one, as I don’t die much………………well………….moving on. There’s tons of other nice little perks which would take me too long to name every single one, but it adds to the online experience and gives that extra little something. There’s a couple of maps that I’m not too keen on as there was with previous games, but the majority are great fun and wouldn’t surprise me if we say a new map pack just before Christmas! 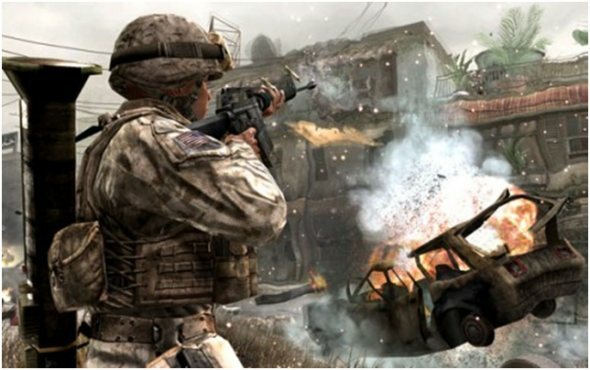 Overall, Modern Warfare 2 is the best Call of Duty to date and really feel for Treyarch as next year’s instalment has a hell of a lot to live up to and from what we’ve heard of the Call of Duty 7 rumours, it’ll be set in Vietnam. Will this work? Who knows? But Infinity Ward seem to be the masters of FPS and storylines in the Call of Duty franchise. You HAVE to own this game! !